There are many marketing tactics, platforms, and strategies, but which ones are the right ones for your brand, products, and/or services? 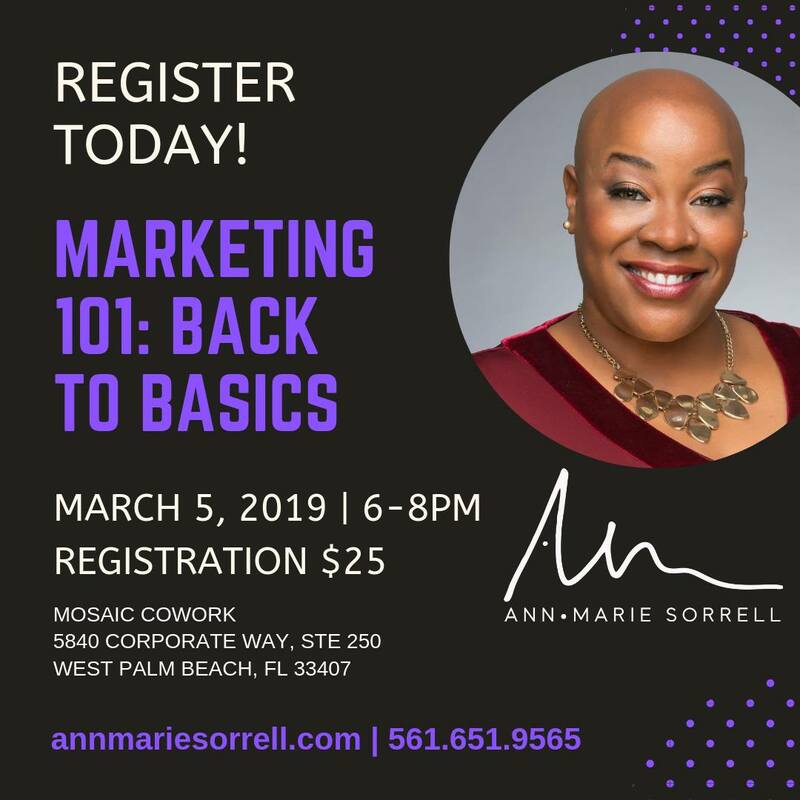 Sometimes we have to simply go back to the basics of marketing to reach our target audiences most effectively while infusing modern technology, digital media, and social media. 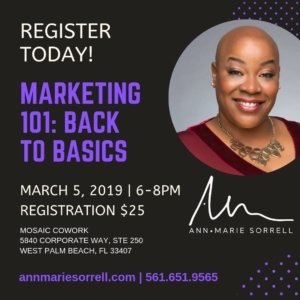 Learn from award-winning marketing guru Ann Marie Sorrell in this 90-minute overview of basic marketing programs that are cost effective and will give you a long-term return on your investment. Space is limited to 20 participants. Refreshments will be provided.